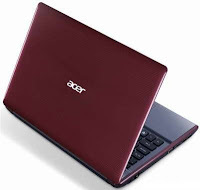 The Acer Aspire 4755 is latest laptop device in Acer. Acer is one of the Company in India. Acer Aspire 4755 can be installed with the operating system of Linux and the processor is Intel Core i3 2310M. It has many features and specifications like Intel Graphics, 14" inches screen display, 1366 X 768 pixels screen resolution, 8X DVD Optical drive, stereo speakers, 1.3 Mega Pixels Camera Quality, 500GB Hard Drive, 2GB DDR3 Ram memory etc and its weight is 2.3kilograms. The Cost or price in India is Rs.27499/-.